WHAT ARE LAYOUTS & COMPONENTS? Design Layouts are perhaps the most exciting feature of MOBLE. Designers can create a set of custom Site Layouts for their clients to drag and drop in any combination on any page. 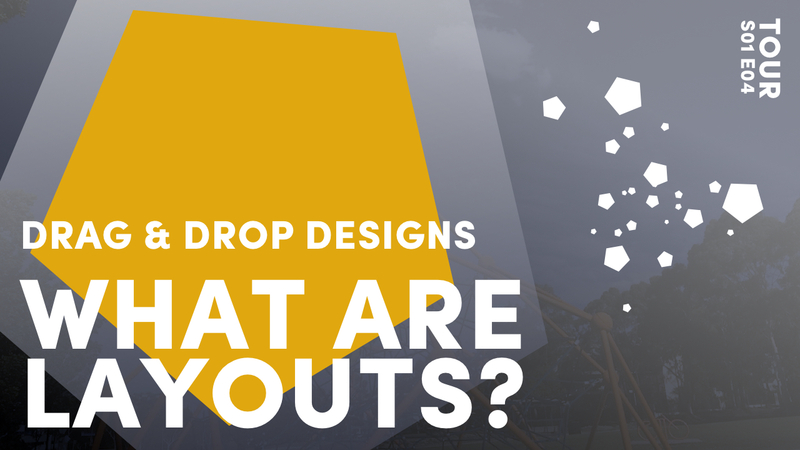 Layouts offer immense content manage flexibility while always respecting the design that was originally created by your design team. In addition, to the custom made Site Layouts, there are thousands of base layouts that you can choose from to support your design process and inspiration. These are MOBLE's out-of-the-box 'Base' Layouts that come with all MOBLE website. They can be dragged on to any page to get you started from scratch extremely quickly. We frequently update and evolve the Base Layouts to stay on trend with contemporary styles and technological advancements. These are your personalised websites Layouts that have been made specifically for your brand. You can reuse across your website pages by dragging them into any location. You can save Layouts as a Row, or an entire Page. These Layouts conveniently live in the 'MY SITE' tab. Website Designers and Website Design Agencies can apply to be a Partner. Partners can create their own branded website designs and promote them on moble.com to receive a 40% share of monthly plan, for the lifetime of the client. This offers an incredible passive income stream for design partners. Partners don't have to promote all their designs on moble.com, they may protect design IP and create agency specific website templates to be used for rapid design for their own agency clients. Teams work together to tweak and improve their Layouts before adding them to their Team Sites. When clients log in to the their websites, you can give them access to your designs, so that your agency is branded within the MOBLE Visual Editor. When a client drags your Team Layouts on to their page, the design Layouts will instantly swap from your branding to inherit your clients branding. MOBLE is a Web Builder for Design and a CMS for Business. This means that if you're a designer you can build anything from scratch using the Website Builder, without requiring code. Then, once you've completed your design, you can hand it over to your business team. If you are a Business, you can update anything with an easy to use, drag and drop, point and click CMS, to always remain current, and use your website as a powerful business tool. The MOBLE Visual Editor can be flipped from Design Mode (the Web Builder), to Business Mode (the CMS), meaning that designers can create layouts, and be sure that their designs are preserved and always remain consistent and on brand. Businesses can simply add content to these Layouts, without ever having to worry making design decisions or straying off brand. One of the most frequent ways that Businesses change Layouts is to swap the Content Components. Any Layouts that includes, say a Video, can quickly be swapped to include a Form. This offers outstanding flexibility to create pages exactly to your business needs. Components can also be dragged and dropped between any location on any page. Next we get to know some essential MOBLE terminology, we learn about Sections and get you to update your Footer. S1 E4 What are Layouts & Content Components? S1 E5 What are Sections, Footers & Action Sections?